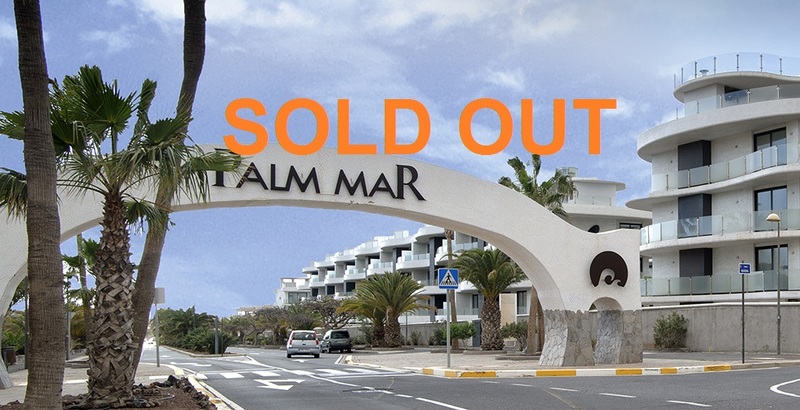 Las Olas in Palm Mar - South West Tenerife - is awarded as the best property development in the Canary Islands. It's the best Bank Bargain at this moment in Spain. This exclusive, brand new complex is located at a superb location; more than 300 days of sunshine yearly, surrounded by nature, just within a 10 minute drive from the airport en just a 10 minute walk to great beaches. Come to Tenerife - the island of eternal spring - and visit our show flat. Let us surprise you with an exclusive home for an exeptional price. Prices range from € 137,000 up to € 220,600. The best property development in the Canary Islands now direct for sale from the Spanish bank for unbelievable prices. The Las Olas buildings have an architectural design characterized by beautiful harmonious waves. This brand new homes are build with top quality materials, with terraces, solarium and large openings to the outside. You can now benefit from the magnificent views and live in a inspiring communal area with a spectacular central swimming pool, children's pool and large gardens. Exclusive homes with spacious rooms full of natural light and a comfortable housing distribution. All apartments have two rooms and terrace, the penthouses have a large sun terrace. Top quality materials and finishes, fully equipped kitchens and individual air conditioning. Each property includes parking space and storage room. Undoubtedly, Las Olas is the perfect place for your second home, as permanent residence or as an investment. close to schools, health centres, etc. Ideal as second home, a place to live or as an excellent investment.